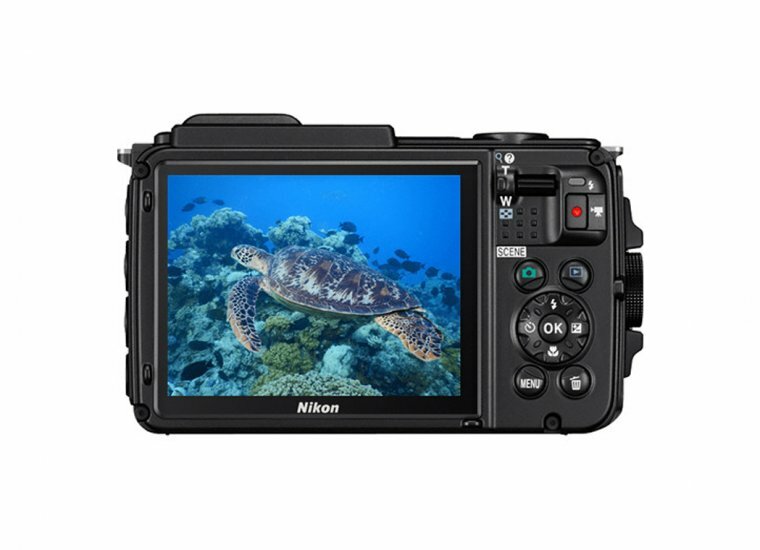 The Nikon Coolpix AW130 is an underwater rugged camera featuring a 16MP sensor, along with Nikkor-branded lens with 5x optical zoom. Focal length ranging from 24mm – 120m (full-frame equiv.) with an aperture of f/2.8 at its fastest, wide end and f/4.8 at the telephoto end (fully zoomed). The AW130 is water-resistant down to 30m (100ft) which makes the best on market in this regard. Shock-resistance is also available and rated at a height of 2.1m (7ft), although these tests are limited in design, and Nikon doesn’t guarantee the camera will remain waterproof if dropped. In case you’re going for a trip to the mountains this camera will be freeze-proof down to -10C (14F). Connectivity-wise, Wi-Fi, GPS and NFC are available, along with related features such as remote control via smartphone and geotagging for your photos. The body is also packed with a range of other sensors such as motion sensor, compass, and altimeter, among others. Just holding the AW130 gives off a feeling of superb quality and sturdiness. Indeed, the best part about this camera is probably it’s build quality and ruggedness. The main chassis is made from metal, with a few plastic parts where they are appropriate. The design is modern and industrial and available in several colors: yellow, blue, red (all in combination with black), or all-black. Overall, the AW130 is very similar in design compared to its predecessor, AW100 and AW120. When facing the camera from the front, the lens is located at the top right. Other than the NFC chip and flash which is positioned to the left of the lens, the rest of the front body is clear. The top plate consists of a large shutter button and a power button. Not much else to see here either. The rear plate is where most actions happen. There are lots of dedicated buttons but they are all tiny and too tightly placed for our taste. Navigating these controls underwater might prove very problematic. This is somewhat remedied with the introduction of the motion sensor and the corresponding ‘Action Mode’. When activated this mode allows you to navigate the screen simply by tilting the camera up/down/right/left, which comes in very handy when you need to make a quick adjustment underwater, or when you are using gloves. Since there is no viewfinder, you will spend a lot of time looking at the 3-inch 920k dot OLED screen on the rear. Screen sharpness, color reproduction and viewing angles are all as good as it gets in this class. The only issue we have found is that the screen is poorly lit, meaning there is not enough brightness for daylight usage, which can be especially problematic in direct sunlight. The on-screen menus are easy enough to navigate with a few exceptions where some settings can be hard to find. Overall, the software feels polished and responsive, although unintuitive at times. Moving from the top down, rear controls consist of a zoom rocker, a dedicated video recording button and a flash indicator. The center controls include a four-way navigation control, which an OK button siting in the center. These controls have double-functionality, besides being menu navigations buttons they are also used for Flash, Exposure, Timer and Macro, respectively. Situated all around the four-way controller are another four buttons: Scene, Playback/Media, Menu and Delete/Trash. Interestingly, there are additional three buttons sitting on the left side of the camera. These are used accessing the Action Mode which we previously mentioned, Wi-Fi and the World Map. Moving over to the other side of the camera, we found a compartment holding the memory and the battery, along with a Micro-USB port for charging and/or transferring files, and a Micro-HDMI port for connecting the camera to a compatible larger screen. This compartment is protected by a waterproof seal which is easy enough to open and close. 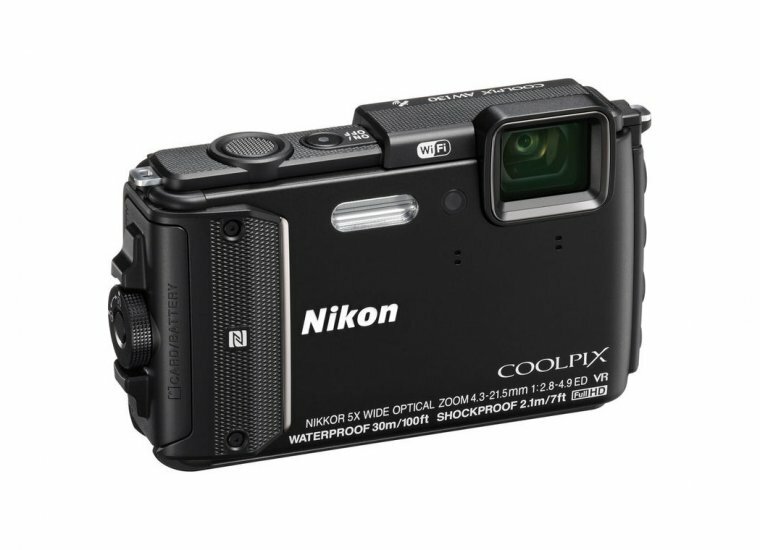 The Nikon Coolpix AW130 comes full-featured in connectivity. There is GPS, Wi-Fi, NFC for wireless connectivity, as well as connectors for Micro-USB and Micro-HDMI. The Wi-Fi enables you to transfer photos and video to a smartphone or a computer. This a standard feature in this class of cameras but important to point out nonetheless. The obvious advantage here is that you don’t have to mess around with cables and can instead transfer your photos instantly as you take them, wherever you are. This makes social media sharing a very simple process. The Olympus Wireless Mobile Utility app, which is available for iPhones as well as Android phones, also allows you to use the phone for remote shutter control. This is a great way to take photos while the camera is resting on a tripod, such as when shooting a burst of photos, be it for time-lapse videos or something else. On top of Wi-Fi and Bluetooth, the camera also has Near Field Communication (NFC). This technology allows for other NFC-compatible devices (namely smartphones) to establish a connection simply touching the two together. At which point the Olympus Mobile Utility app will automatically open on the smartphone, and you can start transferring photos or controlling your camera remotely. 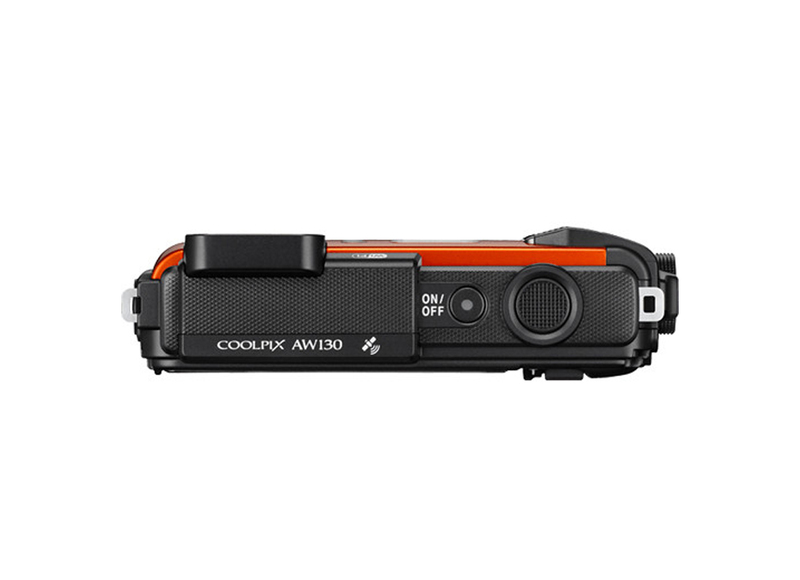 The Coolpix AW130 takes around 1s to turn on before it’s ready to shoot. Overall performance in terms of image processing and button and menu responsiveness is good. It captures up to five images at a burst-rate of 7FPS, or 10 images at 2.2FPS. This is in high-quality, full-resolution mode. By lowering the resolution to a 1280x960px, the camera can handle shooting as fast as 15FPS and continuously capture up to 25 images. Autofocus (AF) works rather well for stills; focusing quickly and accurately in good lighting. It struggles a bit to acquire focus in low light, but no more than other cameras. What is worrisome however is AF in the video; it behaves much worse than in stills. It has trouble keeping a target lock, especially at the telephoto (fully zoomed) end. White Balance (WB) when set to automatic and used inland, can recognize the scene and set correct WB. 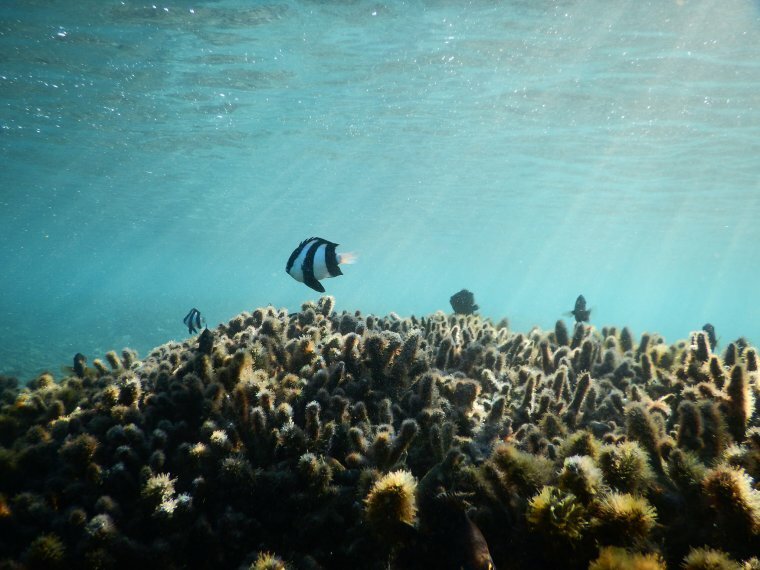 However, when underwater, it leaves to much of a blue tint in photos. Battery life is very good. With moderate usage, we were able to pull a full day of shooting. Just be careful not to leave Wi-Fi when you’re not using it – it will drain the battery. Probably the main reason for good battery life is the fact that the OLED screen is rather dim. The battery is charged while in-camera, using a USB cord. It takes about 2 – 2.5 hours to fully charge it. There is no external charger unless you purchase one separately – in case you would want to use an extra battery. Make sure you clean and dry the camera before opening the doors and charging the battery. As for water-resistance, you can dive the camera down to 30m for 60m at a time – exceeding this time may cause water to pass through the seals. As per Nikon’s warnings, you should avoid jumping in the water with the camera and avoid rapids and waterfalls. This is a long-shot, but the increased pressure in those scenarios could compromise water-resistance. When it comes to image stabilization (IS), most higher-end point-and-shoots today offer optical IS. In the case of Nikon AW130, we have ‘VR’ or ‘Vibration Reduction’ which is Nikon’s name for their OIS. This IS is able to compensate even for the most of the unsteady hands. Too bad the AW130 does not allow us to set the shutter speeds manually. The good news is, the VR will also work in video recordings, and this means smooth, steady videos. For the sake of comparison, Olympus TG-4 has Optical IS for stills, but only digital stabilization for videos – which is far less effective. The lens in the AW130 moves internally when zooming, which is good. The 5x optical zoom or 24-120mm equivalent focal length presents a versatile focal length range. At 24mm, it is wider than the Olympus TG-4 by 1mm and can go a lot farther at the telephoto end, up to 120mm whereas TG-4 can go only up to 100mm. On the other hand, the TG-4 has a wider aperture (f/2.0) at the wide-end, where AW130 starts from f/2.8. Thus, the TG-4 is better for wide-angle shooting, be it group shots or landscapes. photography, but also underwater. This is because f/2.0 aperture is wider and lets in more light, resulting in brighter photos with less noise. Both the Nikon Coolpix AW130 and the Olympus Tough TG-4 have a minimum focus distance of 1cm. Focusing this close to an object is very impressive and not many other cameras manage to pull it off. This is great for Macro photography, but which camera is better? While both cameras can focus at 1cm, the TG-4 can get additionally closer by using the optical zoom, while the AW130 increases the minimum focus distance if you zoom in – you don’t get both. Buying a rugged camera poses some restrictions on how far the image quality can go. Namely, the sensor in the AW130 is rather small, almost as small as the sensor on iPhone. So, what kind of image quality can you expect? Well, it’s about the same as your average high-end smartphone – it’s okay, but not exceptionally good for a point-and-shoot camera. 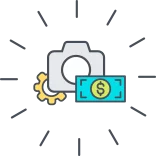 However, users do not buy this type of camera in order to replace their smartphones as primary shooters, they buy it because it can go against a harsh environment where smartphones can’t survive. ISO or noise handling is mediocre. This brings us back to the small sensor, and camera’s minimum ISO settings being at ISO125. In daylight or well-let indoors, the sensor will not have to use high ISO, leaving details and image sharpness at high levels, while keeping the noise down. However, if you shoot during night, or deep underwater where light is limited, the camera might bump ISO to higher levels which could result in noisy images with smudged details. This happens because the camera tries to fight noise with noise-reduction algorithms, which has a destructive side-effect against details. Everything inside the ISO125 – ISO800 range delivers good results while going beyond ISO800 will make noise and detail loss quite visible. We recommend manually setting the maximum ISO at ISO800, thus forcing the camera the use slower shutter speeds to compensate for the lack of light. Given that the lenses are stabilized by VR, blur due to shake shouldn’t be too much of a problem. Image sharpness is very good in center and a bit softer around the edges. If you must, use ISO1600 but do not use those images for large prints. They will probably be okay for web sharing. For the sake of specifications, we should note that the AW130 can extend up to ISO6400, even though at that point the photos are practically useless. Color reproduction and accuracy are excellent and noticeably better than in Olympus TG-4. For example, the camera produced perfectly accurate highly saturated reds and purples when shooting flowers. These colors are challenging for any camera, and the AW130 performed exceptionally well. Colors in photos from the AW130 are generally very rich and pleasantly saturated. Underwater shots coming from the AW130 are good but not as good as images from the TG-4. 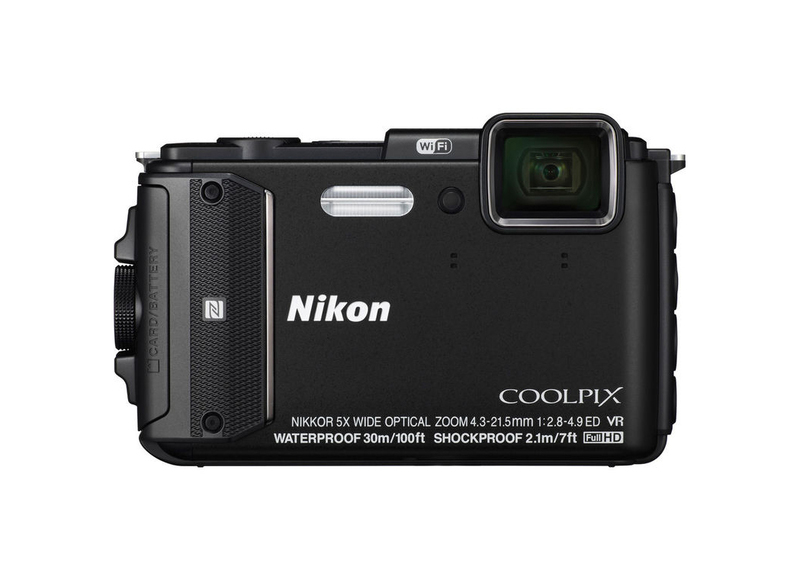 The Nikon COOLPIX AW130 is a camera that is focused on durability first. It is waterproof, freeze-proof and shockproof. These features are the main selling points and in this regard, it is the best-rugged camera on the market. On top of this, it feature-packed in terms of connectivity; There is Wi-Fi which you can connect to a smartphone, GPS with geo-tagging, route planning and a world map, and NFC for easier pairing with smartphones and other accessories. It is a great choice of a camera for anyone looking for the best durability, capable of surviving underwater, mud, dust, sand or almost anything else you throw at it. In terms of imaging capabilities, you will get solid results, comparable to cameras in modern smartphones. However, if you want more shooting flexibility, i.e. manual camera controls and raw format support, the Olympus TG-4 would be a way to go. The TG-4 can only dive half the depth of the AW130, but it still a very durable camera with better camera specs (f/2.0 aperture) and options (shutter priority and aperture priority modes). 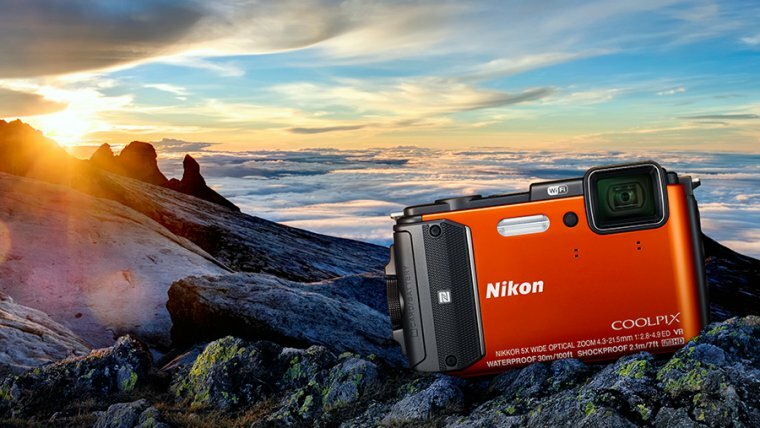 If by any chance, you are interested in even more flexibility for your tough camera, you might want to take a look at the Nikon 1 AW1 – water-resistant camera with interchangeable lens. The AW130 is a good, resilient and reliable all-around camera which can withstand a lot of punishment. 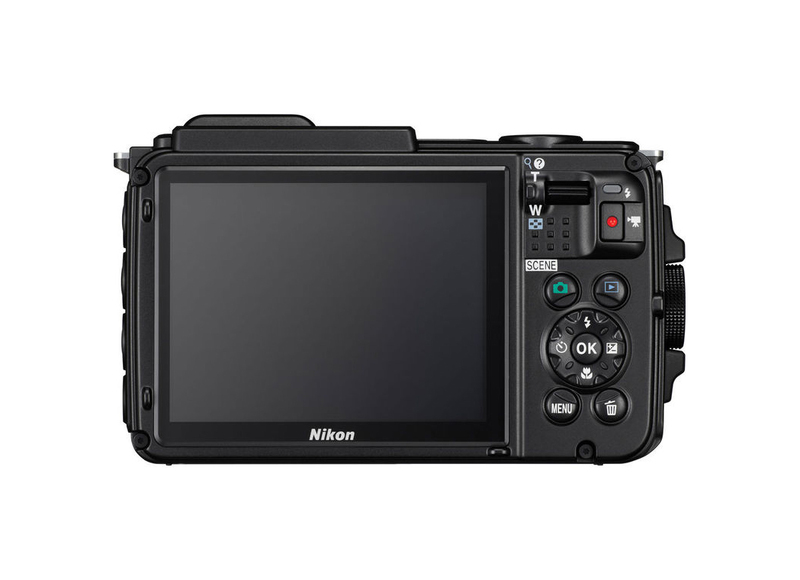 It does not offer manual camera controls, for that you will have to look elsewhere. Instead, it’s packed with a range of scene modes and other effects which are useful and easy to use. It is worth mentioning that it comes feature-rich video recording options as well. Because of its simplistic approach to imaging, the camera is suitable for all members of the family, including those that not tech-savvy. There is a lot to consider when choosing the best tough camera for you. It is hard to tell which on is the best because it all depends on what you plan on doing with it. We could tell you that you can’t go wrong with whichever top model you choose, and that would probably be true. However, if you want to get the most out of your money, you should carefully consider what type of photography you want to be doing, how flexible or simple to use you want your camera to be, and finally, under how much external pressure you want it to be able to survive. Based on these factors, you should choose the camera that best suits your needs. We had a lot of time to play with our Nikon AW130, and we loved every moment of it. While the AW130 may not be able to take most detailed photos among the competition, you can be mighty sure that it will always be fast and reliable, even in most extreme conditions. Another thing. Pick the red version, it is gorgeous!